Notice with the passing of Delta Golden Wings member retired Delta pilot Captain Daniel Luther Sherrill, age 81. 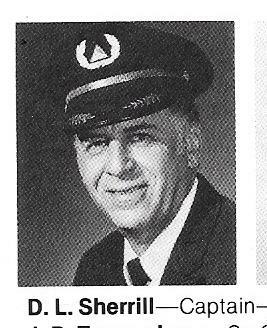 Captain Sherrill joined Delta Air Lines 04-11-1966. He is survived by his wife Mary, their children plus grand- and great grandchildren. Services are planned for Wednesday, December 20th in Alpharetta, Georgia...please see information below. 721 Eagles Mere Ct., Alpharetta GA 30005-4233. Dan was born and raised in Spindale, NC, the son of Luther E. and Hazel Buff Sherrill. His mother named him after the song Danny Boy. Dan attended N.C. State and graduated from U.N.C. at Chapel Hill, NC., in 1958, receiving a commission as a Second Lieutenant in the U.S. Air Force. He and his high school sweetheart, Mary Ellen Reece were married while in college on March 31, 1956, and their first son, Kirk was born on June 4, 1957. Dan began flying in January 1958 while in the Air Force. R.O.T.C. In 1959, Dan began Air Force flight training and received his wings in April 1960. A second son Darrin was born August 19, 1960. Ty, the third son, was born January 1, 1962. After flying air-refueling tankers for six years, Dan began a new flying career with Delta Airlines. He flew over 30 years with Delta and 20 of those years as Captain. While flying, he met many notable people in politics, sports, royalty, and entertainment. His flying also included hazardous weather, attempted hijacking, mechanicals, passenger emergencies, and others. Retiring in August 1996, he was happy to say, "I never scratched an airplane or passenger." Dan's pastime passion was golf. He enjoyed his golf group of 25 senior golfers that played weekly and made trips together. Dan is survived by Mary, his loving wife of 61 years, three sons, four grandchildren, and six great grandchildren. 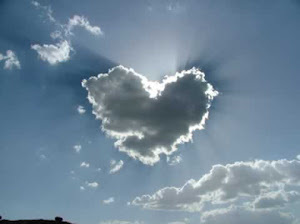 Dan's family appreciates your prayers, your presence, and the many expressions of love and concern. A visitation will be held Wednesday, December 20, 2017 from 12:00PM 1:00PM at Johns Creek Baptist Church 6910 McGinnis Ferry Road, Alpharetta, GA 30005. The memorial service will follow at 1:00PM.